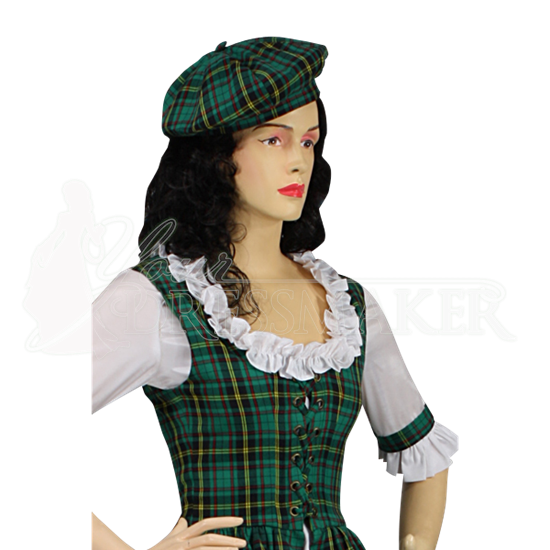 If you are planning on adding a cap to your Scottish or Gaelic attire, there is just about only one hat that can do so with ease. This Scottish Tartan Cap is based on the classic soft Scottish bonnet and perfectly complements traditional highland attire. 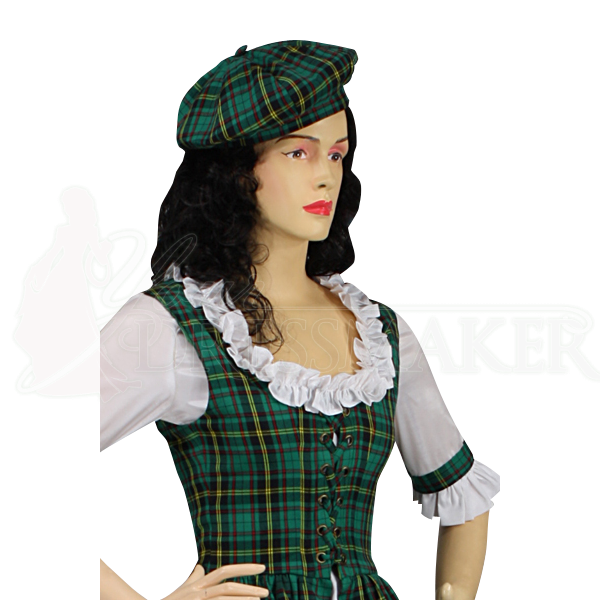 This hat is traditionally called the Tam o'Shanter, in honor of a hero featured in a Scottish poets works. The hat is, essentially, a bonnet of Scottish origin, featuring a floppy and loose brim that rests over the wearers head and is secured in place by an external hat-band. The top of the cap features a toorie (otherwise known as a little pom-pom), and in the case of this hat, it also features a tartan pattern, either in red or green. The cap comes in three different sizes, and can be worn by men or women. It is comfy and classic, and that makes this Scottish Tartan Cap a fantastic little addition for anyone to add to their attire, whether they are celebrating their heritage or just showing off some great highland attire.